Now that the temperature is down, and the mountains of central Greece are covered with fresh snow, it is time to put on your snowshoes and explore Arachova. The small town of Arachova is the gem of mount Parnassus. Located in Boeotia county, at an altitude of 970m, it’s one of the most alluring places of mainland Greece, only 2 hours away from Athens. The picturesque landscape and the rustic architecture combined with the town’s sophisticated character, make the ideal scenery for a perfect vacation. If you want to explore the winter-side of Greece, Arachova definitely won’t disappoint you! The region’s history is long and fascinating. The oldest archaeological records are traced back to the Neolithic era at the Corycian Cave, which was later considered as a place of worship for god Pan and the Nymphs. During antiquity, the famous sanctuary of Delphi stepped into the spotlight, while the region was inhabited by the Phocians, one of the many ancient Greek tribes. However, the actual town as we currently know it was built around 1300 in the late Middle Ages and the people of Arachova became significantly active during the Greek War of Independence against the Ottomans. Today, Arachova is one of the most popular winter destinations in Greece characterized by the diversity of its travellers. Its magical vibes and fairytale aura will charm you right away and make you realize that Greece is way more than just its islands. If you visit Arachova during winter, you should definitely go to the Parnassus Ski Center, which is actually the largest one in Greece. Modern facilities, up-to-date equipment and ski classes for everyone are some of the resort’s advantages. Whether you’re a winter sports enthusiast, a casual skier or even an amateur, a day trip to the resort is essential; you could always enjoy a cup of hot chocolate at the cafeteria while overlooking the mountains. Benefit from the snowy winter setting and hit the slopes! In case you’re not really into sports and weather permits, you could try hiking. Mount Parnassus has many hiking trails, depending on your fitness level. A good option for your hiking experience would be the National Park of Parnassus, the second largest in the country. Parnassus’ forest vegetation is remarkably rich, including pines, oak trees as well as various local herbs and flowers. Its diverse fauna consists of foxes, wolves, hares, badgers, falcons and many more. The scenery, as you can imagine, is breathtaking and intriguing. Explore the mountain paths and keep your eyes peeled for potential wildlife encounters! When it comes to ancient Greek history and archaeological sites, the sanctuary of Delphi is one of the must-sees. According to ancient Greeks, Delphi was the navel of the Earth; or in other words, the centre of the world. Therefore, its significance throughout antiquity was huge. People from all over Greece and beyond would visit Pythia, the highest priestess, in order to get guidance and advice for their questions. Pythia’s answers were characteristically enigmatic and controversial and fortunately, many of her prophecies have survived until today. 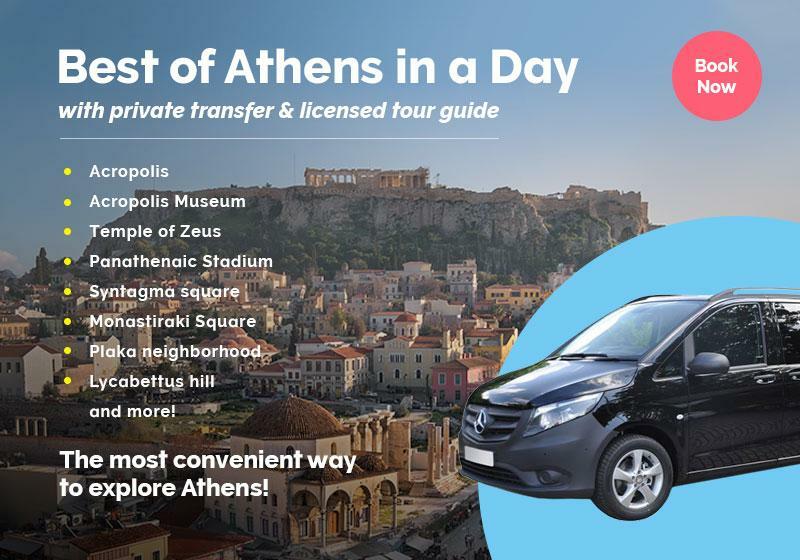 Some of the site’s attractions are the temple of Apollo, the temple of Athena Pronaia, the theatre, the gymnasium, and of course the archaeological museum. Delphi is undoubtedly among the most charming places in the world, hence rightfully one of UNESCO’s World Heritage Sites. So, there are no excuses for skipping it! The region also has a very rich folk tradition and the folklore museum of Arachova is the perfect proof. A fun fact is that the building hosting the museum is an early 20th-century primary school. As a visitor, you’ll get a taste of everyday life in the region during the few past centuries. The exhibits include agricultural and weaving equipment, toys, costumes etc. The best part is that you can attend traditional craft courses, like embroidery and iron/stone crafting workshops. Located on the edge of the town, St. George’s church is for sure one of Arachova’s highlights. According to local historical sources, the church was built in 1833 on the ruins of an older one, that dated back to the 17th century. In order to get there, you’ll need to climb 264 stairs but don’t get discouraged! The route goes through the town’s picturesque alleys and as soon as you reach the church, the amazing view will definitely reward you. The town is countrywide known for its products that can be found in any traditional grocery stores; pasta, formaela cheese and honey to mention a few. Also, don’t forget to stop by a traditional kafeneio (=café) for a cup of Greek coffee. At the local taverns, you can find a large variety of vegetable soups and meat dishes (lamb, pork, beef, even roe deer). Last but not least, the local tsipouro is something you should certainly try. If you’re not familiar with the term, tsipouro is a strong, crystal clear alcoholic drink served at a particular type of greek taverns, named tsipouradika. Always accompany your tsipouro with nibbles or mezedes as they’re called in Greece and don’t be afraid to experiment and test your gastronomic limits! From high snowy mountain tips perfect for ski lovers, dense forests for hiking to a beautiful traditional village for the culture hunter, Arachova truly deserves its title as the best winter destination of Greece. Waste no more time, plan your own trip to Arachova or perhaps check out one of our Greece tours.